Four years ago, I wrote about how the government of India, in an attempt to end public defecation by 2019, was building over 1 million toilet facilities in households around the country. However, due to a general belief that it was healthier to defecate outdoors, most people receiving government constructed toilets were using them for storage or living spaces instead. India started sending out inspectors to ensure the toilets were being used for their intended purpose and encouraged people to report on their neighbors. I used this situation as a metaphor for expecting people to participate in arts events just because they were being held or a facility existed. The benefits of the arts may seem just as self-evident to arts people as the benefits of a robust sanitation infrastructure, but social inertia can be difficult to overcome, even with mandatory education campaigns (i.e. arts in schools). This idea has made “toilets in India” a short hand metaphor friend of the blog, Carter Gillies and I use when we discuss the ways in which the value of the arts are perceived and measured. Because that article from 2015 is never far from my mind, I was interested to read about a private effort in Pune, India to transform old buses into public restrooms for women. In addition to public restrooms often being poorly maintained and/or unavailable, women in India are averse to using public restrooms due to the possibility of being assaulted when using them after dark and stigmas associated with menstruation and pregnancy. The people behind the project confirm that it took months to reverse the common perception and convince people that public restrooms could be safe and sanitary. The mobile restrooms are definitely on the higher end of any portable toilet set up you would find in the US. They have video screens with personal health information, a cafe outside and an alarm button to alert a full-time attendant if you feel unsafe. The project creators discovered there was a much larger unmet need than they expected. “Our aim initially was to build toilets for mostly lower or middle-income groups, but the gap between the demand and the supply must be so huge that women from all classes are using them,” Sadalkar noted. I still believe, as I did in 2015, that it isn’t enough to provide opportunities and space for arts and culture, assuming the benefits will be self-evident and people will change their behavior in accordance with that realization. 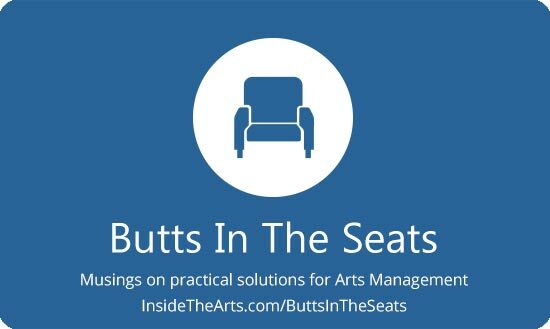 Now that I have become more involved with Arts Midwest’s Creating Connection effort to build public will for arts and culture, I can appreciate the need for a consistent, long term approach to shifting perceptions and attitudes such as the efforts of those behind the portable restrooms. Those involved with the portable restrooms couldn’t just talk about the benefits of a clean, well stocked place, they had to understand and address the perceptual and physical barriers that their demographics faced.